First of all, my expectations are already high. I'll just kome out and say right off that what I've seen of the game looks fantastic. All the new additions of karacters and gameplay elements seem like a very good idea. On the karacter side, Ed Boon himself stated that there will be a LOT of new playable karacters to play with, as well as some old favorites. Obviously Scorpion and Sub-zero are back. But we've got a sneak peek at a few other. New karacters include D'Vorah, an insect woman. Ferra/Tor who is a kombination kharacter sort of like Noob/Smoke in the previous series. Kotal Khan, who's last name and overall build would suggest he has something to do with Shao Khan, but there's nothing konfirming it yet. And lastly, we know of Cassie, who happens to be the daughter of Sony Blade and good ol' Johnny. On the gameplay side, we've got some new things to look forward to that I'm excited for. All playable karacters will have three variations you kan choose before the fight. These variations change the look and moveset of your karacter. One of my favorite iterations of the series was Deception. And the reason being that it had a very dynamic system where you kould change between three stances in battle. It was usually two martial art styles and a weapon. This seems a bit similar to that, but you settle on just one for the match. 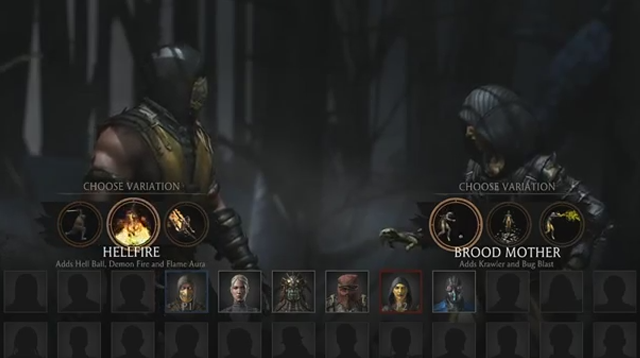 Personally, I would have much rather had the ability to switch them on the fly in a fight, but I think some players found it too kumbersome and would just pick one of the three and stick to that in a match, making the system in Mortal Kombat X more streamlined. 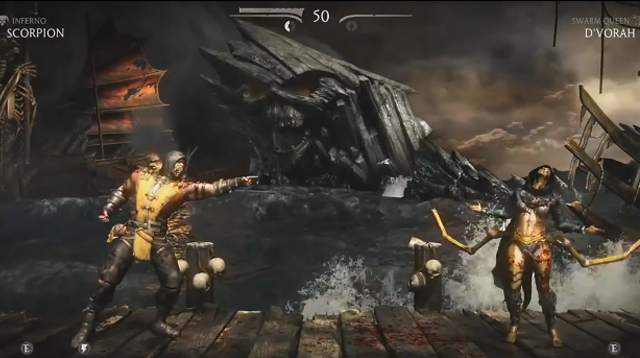 As for returning elements, it's VERY similar to Mortal Kombat 9. The look and feel seems to be on spot. The special meter komes back. It allows for special move alterations, kombo breakers, and the life-krushing X-ray attacks. Now, personally, I'm perfectly fine with these insane moves in a fantasy fighter. But there's a point where suspension of disbelief just becomes impossible. Like, if someone takes your leg, bends it backwards, and you see bones splinter like glass... it's kind of hard imagine them getting up, jumping around on it, and forcefully kicking their opponent without as much as wincing. Or if, say, Katana folds her metal blades up and buries them deep through each of your eye sockets and firmly into your brain. It's kind of hard to imagine you kould kontinue to fight. Much less see... or even live for that matter. But the fact is, it really is a good gameplay element and the game would hurt without them. That and they legit look awesome, which I think is enough to overlook how silly the koncept of fighting after getting hit by any of them is. 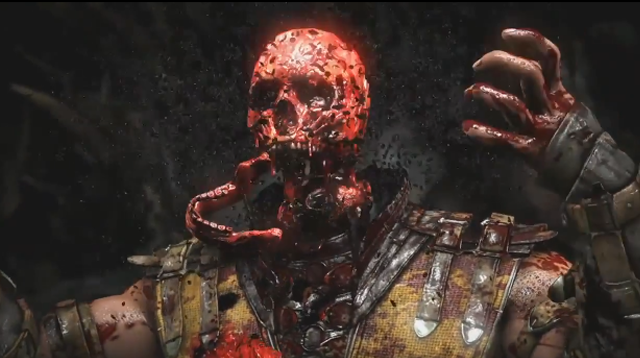 And finally, everyone knows that fatalities are going to be koming back in full force. And from the ones I've seen, they are awesome. I kould describe them all, but luckily there's a trailer with them, so you kan watch them yourself. In fact, there's a 10 minute long interview with Ed Boon himself that I would recommend you watch. It really gives you the low-down on the whole thing. The one thing I really hope above all else is that they get their net kode fixed up. 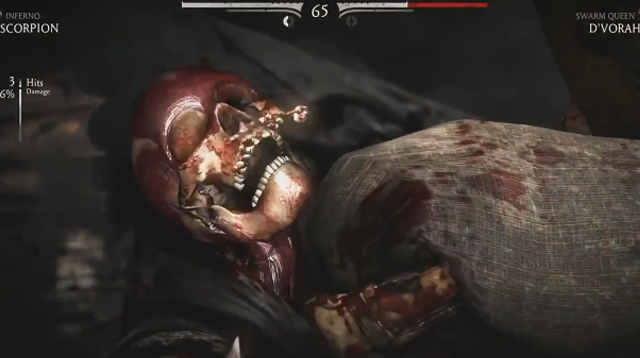 In Mortal Kombat 9, the lag online was bad. Like, the inputs you needed to time for kombos was extremely hard to get used to. But you kould eventually because at least the lag was konstant. Eventually I was able to play the game just fine online because I just learned the timing. Though when I ever played locally, I just kouldn't adjust back. It was a glaring issue, and I hope they take the time to fix it. But other than that, I have the utmost konfidence that this will be a fantastic game and I'm looking forward to it. Oh gods, so many K's! I have been a long time MK fan, but I missed on the last one. It'looks be intestine to see what else will this 25 years lapse bring in terms of characters. You misspelled can, could, character.... what is this amateur hour?! Also, I love the look of this iteration. I hope it finds a community on pc because I just don't feel like buying another console. I haven't played my 360 in roughly a year. My PS3 has a library of about 10 games; I played none... I guess I am burnt out on consoles for a while. Cassie Cage and D'Vorah look like they'd be fun to play, even though CC looks weird.